Clean drinking water seems as simple as turning on the tap. Hawai‘i’s beaches and coral reefs still look inviting. Invasive species feel like a distant threat. But as many have said, these natural gifts have limits. Sustainability for our state means having strategies to protect our natural resources — now and for the future. This legislative session the governor is proposing increased funding statewide that includes more resources for watershed protection, infrastructure improvements to aging water systems, support for small farmers and invasive species control. The fascinating — and alarming — thing is how, in nature, everything connects. 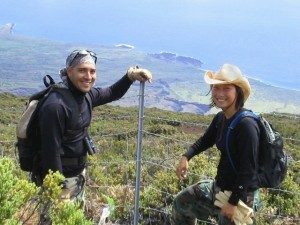 Fighting disease that threatens ʻōhiʻa trees – the cornerstone species of our native forests – means protecting our watersheds, water supply and endangered plants and animals. Reducing erosion helps keep reefs and oceans healthy for our economy and way of life. In his executive budget, Governor Ige has proposed $7.5 million in each of the next two years for watershed protection. The funds would be used for fence construction to protect more than 18,000 acres of high-priority areas from intrusion with additional funds for maintenance. Why are watersheds so important? Without vegetation and forest cover, most of our islands’ rainfall would quickly run off into the ocean. Rainfall collects on the leaves and understory made up of mosses and ferns so it can seep into the ground or be captured in rivers and streams. Natural underground reservoirs store this water, to be tapped by the wells that supply almost all of Hawai‘i’s drinking water. Solutions to make progress: The state’s Watershed Partnerships are voluntary alliances of both public and private landowners who work with the state to protect and prevent the loss of more native forests. This involves building and maintaining protective fences, combating the main threats of hooved animals such as pigs, goats and deer, controlling invasive species and planting more native forest species. Today, there are 10 partnerships on five islands. Together, these partnerships involve over 74 private landowners and public agencies that cover over 2.2 million acres in the state. “Our native forests in Hawai‘i comprise one of the world’s natural treasures. They supply billions of gallons of fresh water, provide a home for our unique Hawaiian plants and animals, moderate climate change impacts, reduce flooding, protect our coral reefs and hold profound cultural significance. 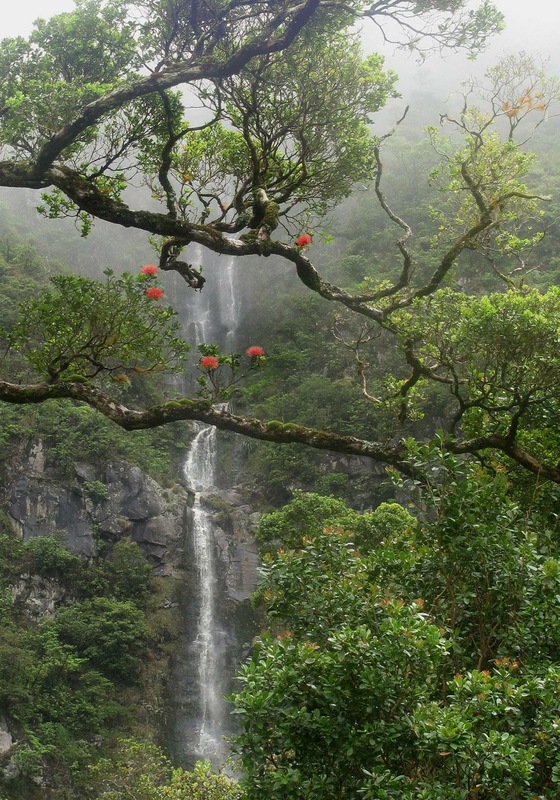 By protecting our forested watersheds, we protect all life in these islands,” said Dr. Sam ‘Ohu Gon III, cultural advisor for the Nature Conservancy of Hawai‘i and Board of Land and Natural Resources (BLNR) member. 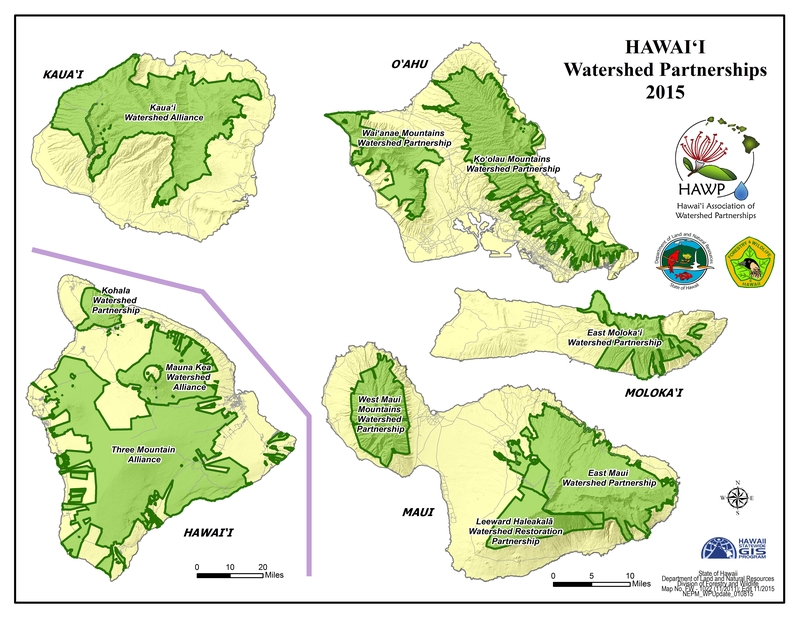 DLNR and its watershed partners are working continually to protect the state’s forests. However, funding to cover costs is always an issue. A $500,000 governor’s budget request would provide additional operating funds needed to maintain newly fenced areas. In addition, a newly formed statewide Game Management Advisory Commission will serve as advisors to the Board of Land and Natural Resources and recommend policies and criteria regarding the management, protection and promotion of public hunting in Hawaii. The hunting community plays a vital role in the implementation of watershed initiatives statewide. 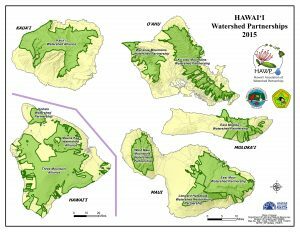 How you can help: The Hawai‘i Watershed Partnerships urges everyone to learn about watersheds in their area and prevent the spread of invasives. Call the DLNR watershed program at 808-587-4189 or the hotline at 808-643-DLNR to report anything that might negatively impact a forested area.